Some of you are probably wondering “why would I need a pillow storage container”. Well, you probably fall into the group that has just few pillows for sleeping. 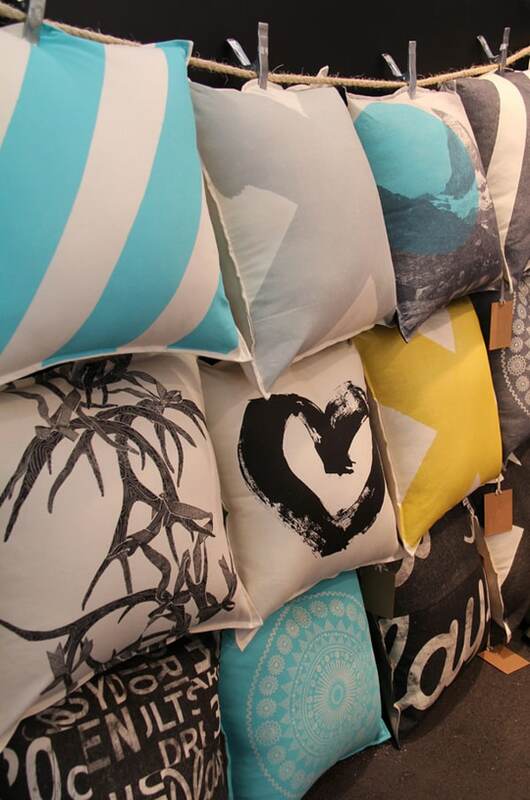 The rest of us, we have a ton of decorative pillows that improve the visual appeal of our homes. Now, if you fall into the group of pillow lovers and hoarders, you probably know how challenging is to organize them all. Well, I am here to tell you that it doesn’t have to be that way. 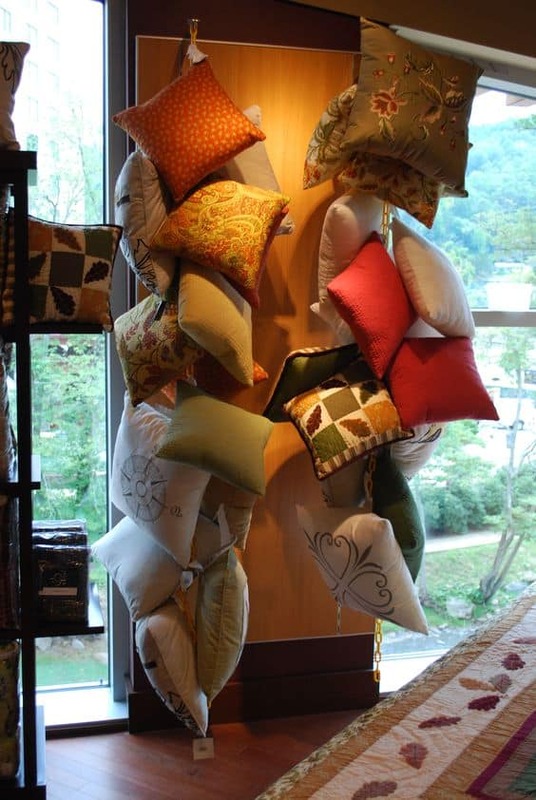 There are ways and tricks you can use to easily store your pillows so that they do not take up much space. And the best part is, it is fun. 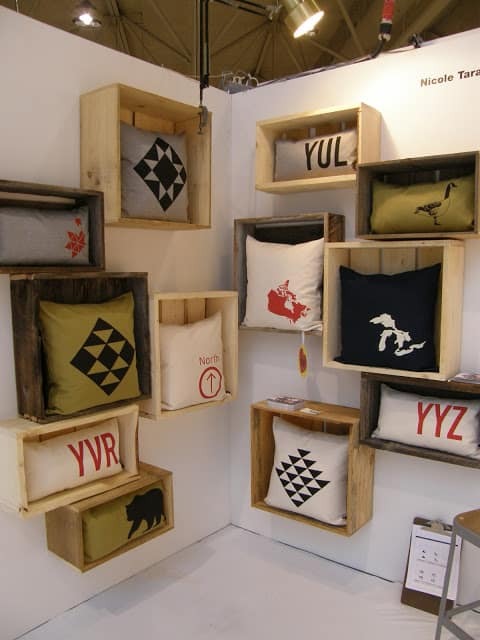 With that in mind, we will look at fun ways to store the bulky and decorative pillows. Let’s go. Whenever you talk about saving space, and adding extra storage space, you have to try the ladder. Yes, the ladder. You can use the ladder to store almost everything. From books, to decorations, to pillows. It doesn’t matter what type of ladder you have. You can use a simple wooden one for a more rustic feeling. Or you can try a metal one for a modern look. 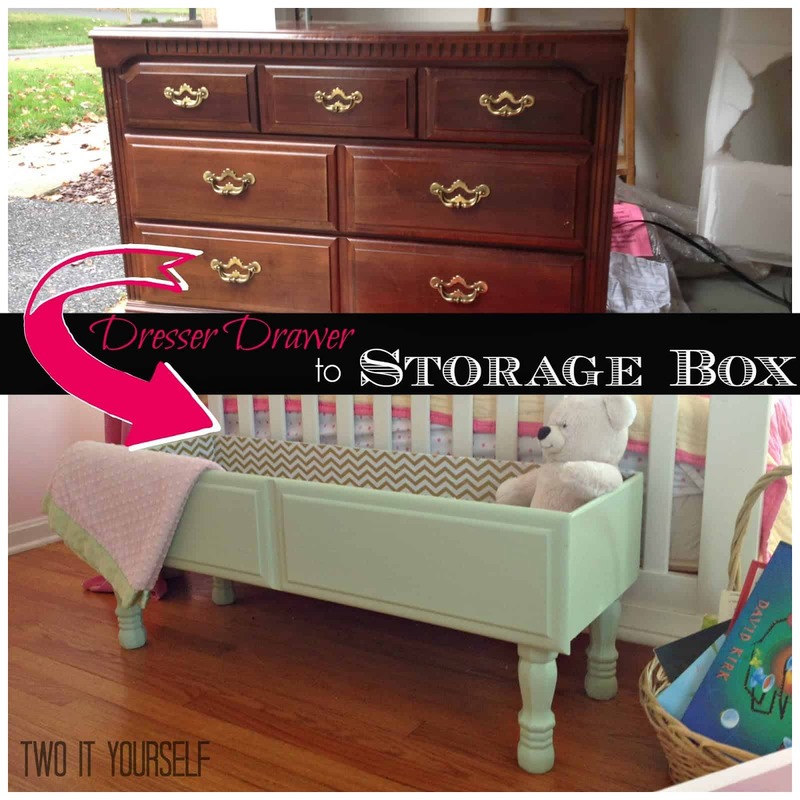 Another storage trick that is widely used. 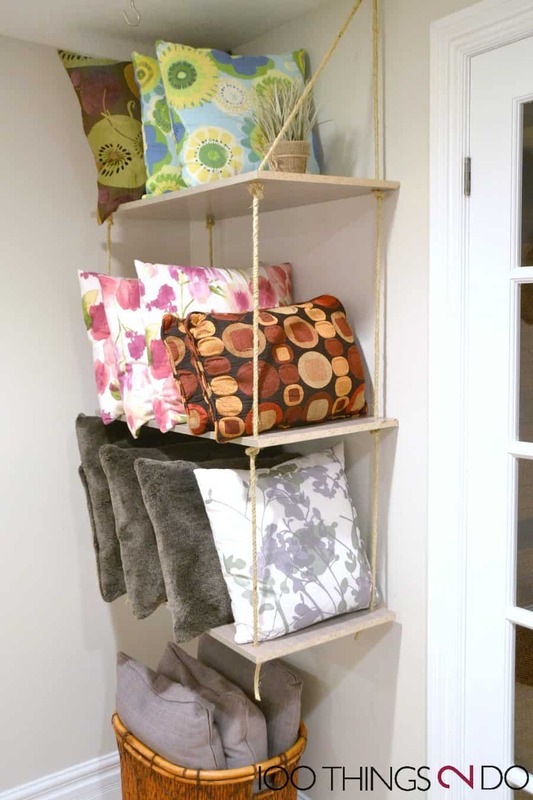 A chain and a hook will help you create nice and beautiful looking storage option. And because your pillows will hang from the top, they won’t take up so much space. We all know how bulky the pillows can get. So it is nice to have some space saved in the process of organizing. Some few years ago, when I was trying to store my winter clothes during the summer months, a friend pointed me towards these zip-up bags. My life has never been the same. These bags will completely change and transform the way you store and organize things in your home. 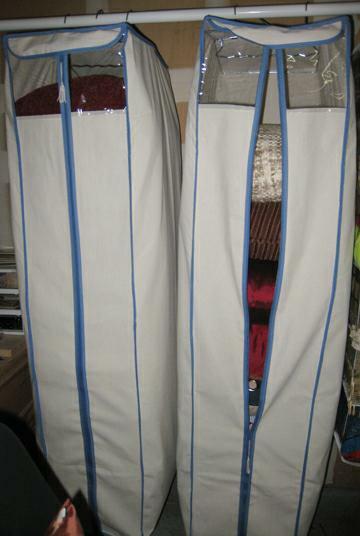 As I mentioned, you can use them for storing clothes. But also for storing all those bulky pillows. A huge emphasis in latest years is put on saving storage. And on multifunctional and multipurpose furniture. With that in mind, I give you a box that can be used for so many different things. As you can see, one purpose is to provide a place for your kid to play and sit. But the inside of the box is great place to store pillows, or any other things you want. 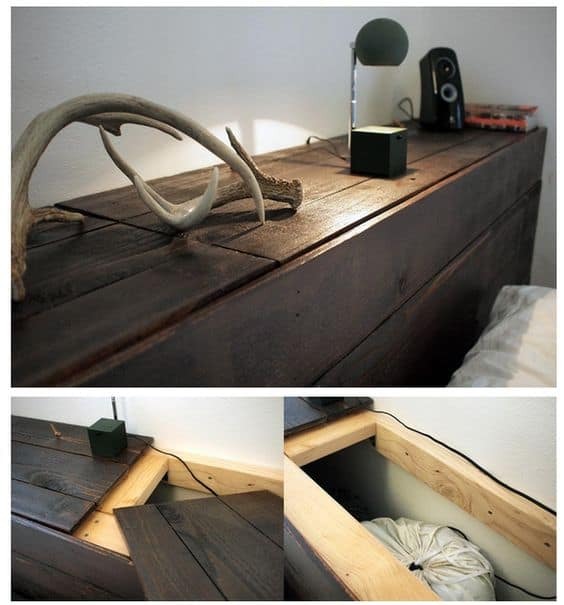 The best part about this storage solution is that it looks awesome. 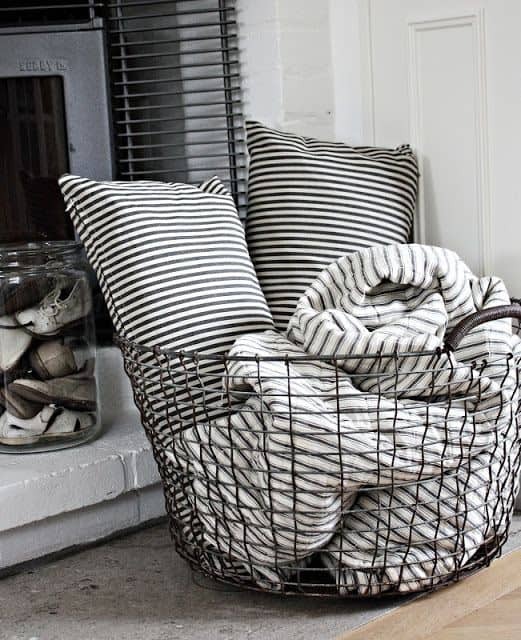 Simple, yet very elegant ,these baskets are decorative and practical in the same time. Not many storage options give you so much. Another popular option for extra storage is hanging shelves. 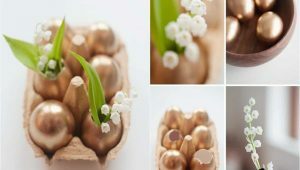 They are practical, and easy to make. 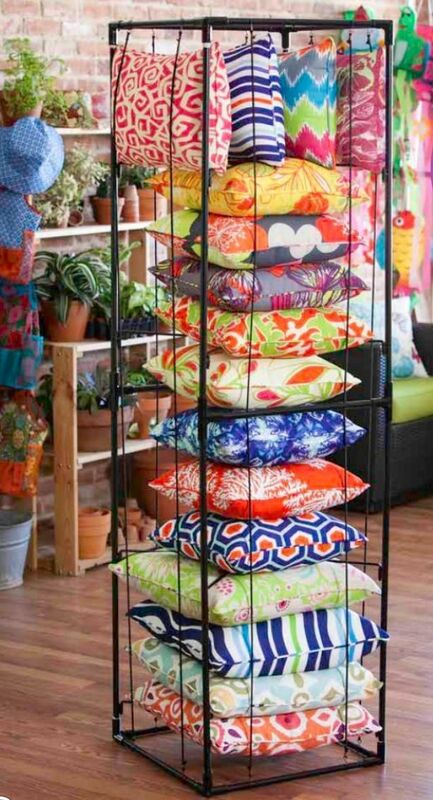 And if you have a ton of pillows in your house, definitely worth making. As you can see, these shelves can easily store up to 10 to 15 pillows. And you can position the shelves in any corner of your home that you do not use. 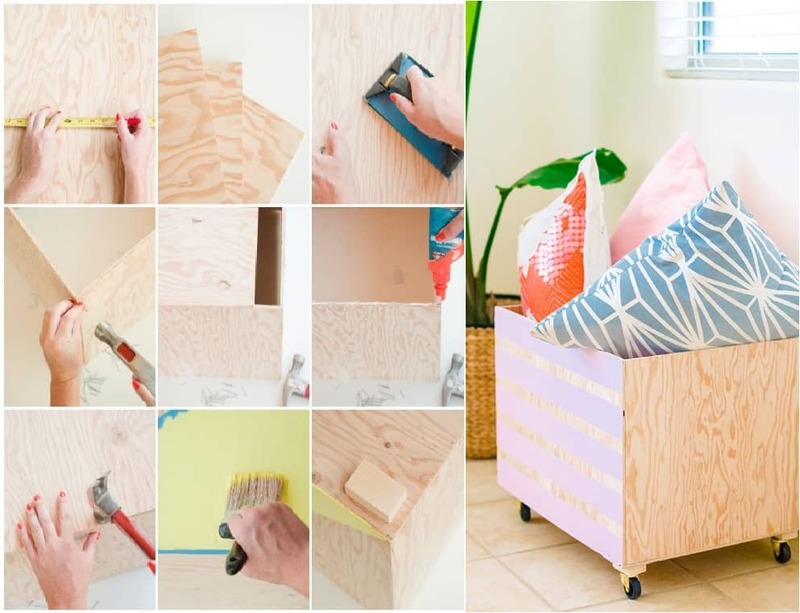 One of the main principles of DIY projects is recycle, recycle, and then recycle some more. That means you can recycle an old item that you do not use any more, and turn it into something useful and practical. And this project is exactly that. As mentioned previously, the biggest thing in DIY is turning useless items into useful. And drawers are one of the easiest storage solutions in that spirit. Many of us have an old drawer at home. The moment you decide to change it for a newer one, you can transform the old one into something else. Many of the storage solutions for pillows try to create extra space. And they are simple. But the trick is to come up with the trick. Luckily, I’ve collected them on one place. I can say for sure that this is one of the simplest, yet most effective storage tricks. If you are following interior design trends, you’ve probably noticed mounted crates before. 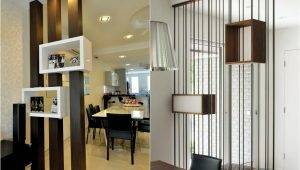 They are one of the hottest trends in interior design. Mounted crates give you some extra space, and all for the cost of your wall. Being that most of us ignore our walls, mounted crates come in handy. And while they cannot store a bulk of your pillows, they can always take care of two or three of them. What I have to note about most of the recycled DIY projects is that they have a specific goal in mind. Or specific appeal, if you like it. They are part of the up and rising rustic comeback to interior design. Just look at some of the recycled items. They definitely belong in the rustic style. And one of the trends lately is to mix and match rustic with modern style. On the other hand, upholstery is a great way to turn any old object into a new and shiny one. If you like to recycle some old ottoman, but like to keep it modern, upholstery is the way to do it. You kill two flies with one punch, right? 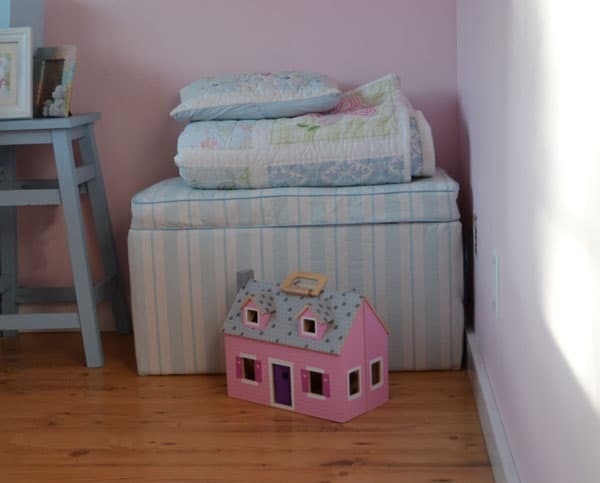 Another trend that has been rising up the ranks in interior design is hidden storage. 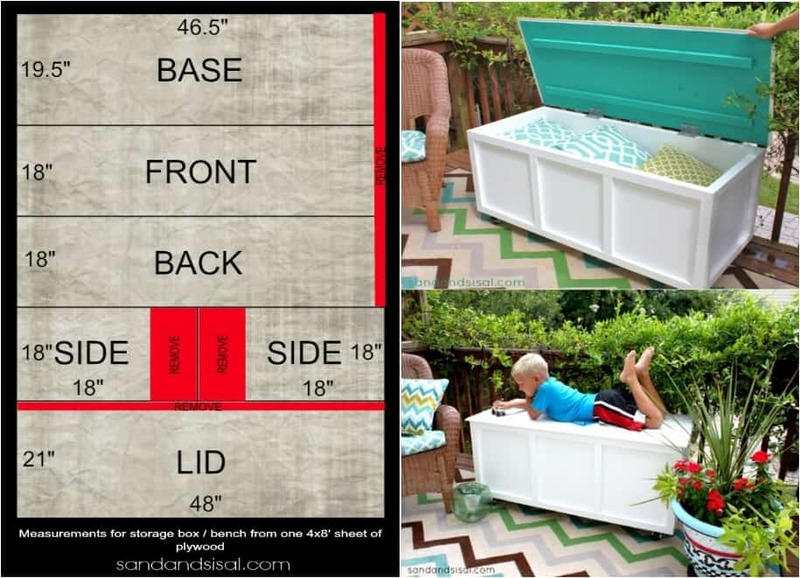 Designs are always looking for a way to add some hidden storage. I do not get it. If you want more storage, just make it visible. 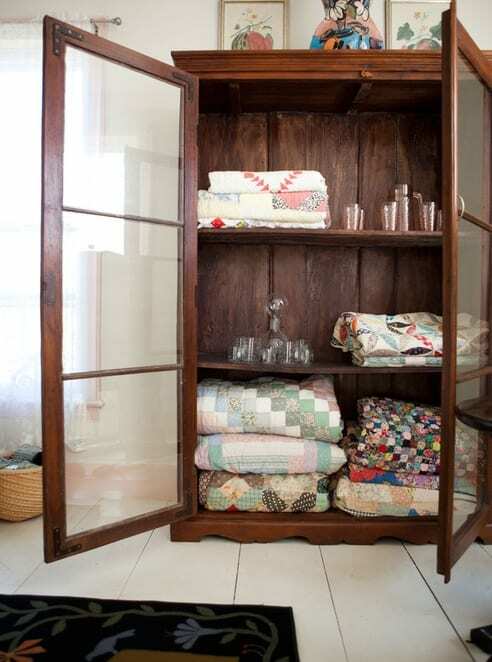 But hidden storage is a big trend, and you can make it from your own furniture. For your outside patio, this is the perfect solution. We know a patio requires some furniture for gatherings, and you want your guests comfortable. 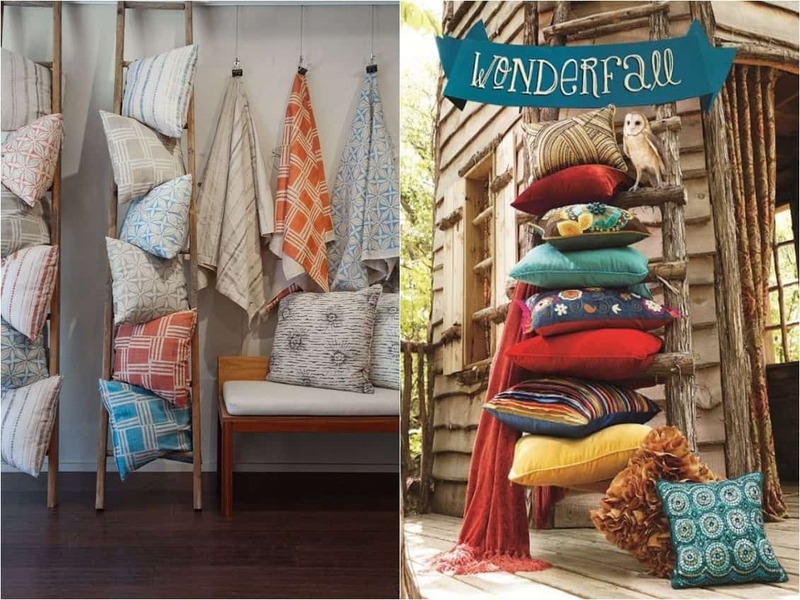 So, what to do with all those pillows for the sofa in the patio? Well, store them in a box. Simple, right? 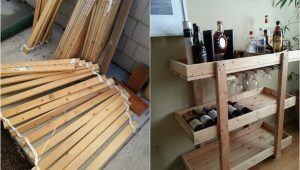 Another great solution for your patio storage problems. 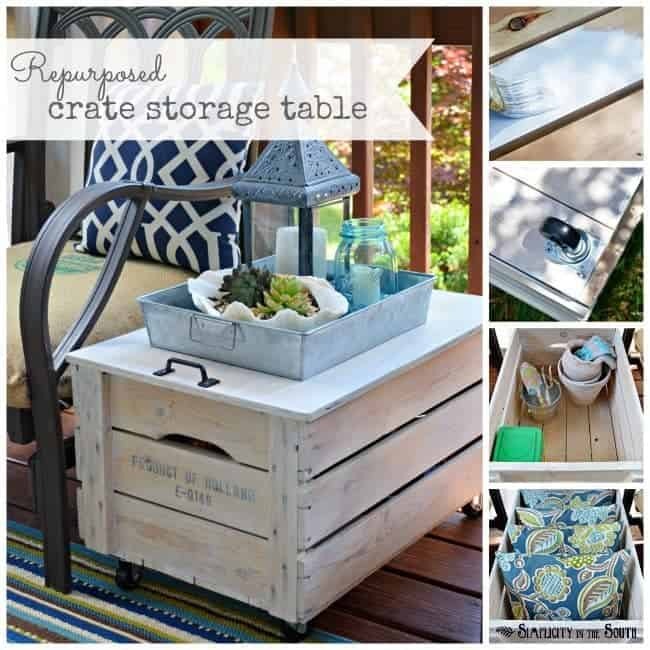 A crate table is the perfect patio accessory. You get the same style, one that is outgoing, loose, and casual. You definitely do not want your patio to look contemporary. 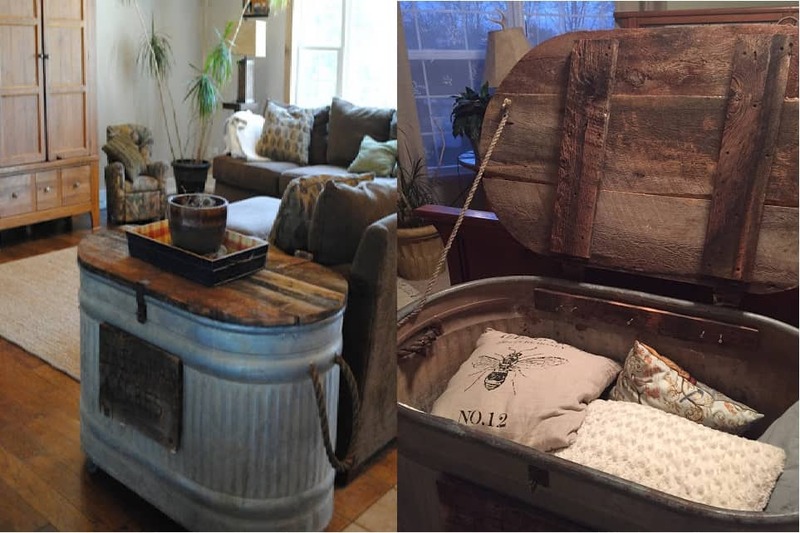 And crated box are perfect for that rustic feel we crave. As you can see, crates are very versatile and multi functional. You can place them anywhere, and they will fit the room seamlessly. The main thing is how you decorate the crate. And in this case, we have a modern wooden looking finish that is just perfect for a modern and urban room. As we went through some of the common choices, we have to finish with one of the most common among them. That is the hammock. Just look at it. A multipurpose piece at its finest. 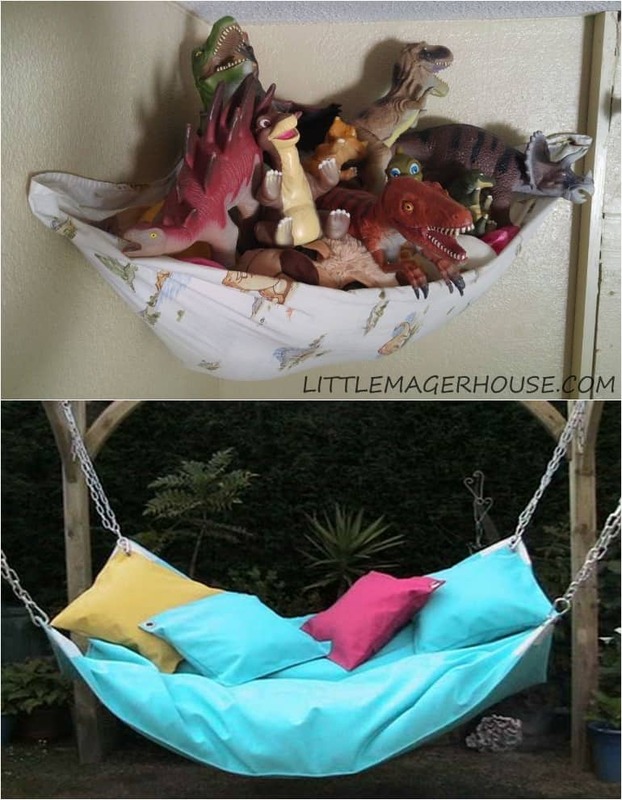 The hammock is a perfect place for laying down and enjoying a calm ambience. But it is also a great place to store all the pillows you have in your patio. With that in mind, if you have any more ideas, feel free to share them with the rest of us.